Singapore Beauty, Travel, Fitness Blog by Singapore Beauty, Travel, Fitness Blogger, Patricia Tee . Powered by Blogger. Most of us lead a sedentary lifestyle with the typical excuse being the fact that we do not have time to work out due to work and other personal commitments. When I first got to know about Active Hive Minus Calories 30 minutes workout, I was eager to try it out for myself to see how I would benefit from it. I mean, its a mere 30 minutes workout which fits perfectly into my busy schedule. Plus, I have been trying to shed some extra pounds I have gained from the past few months. 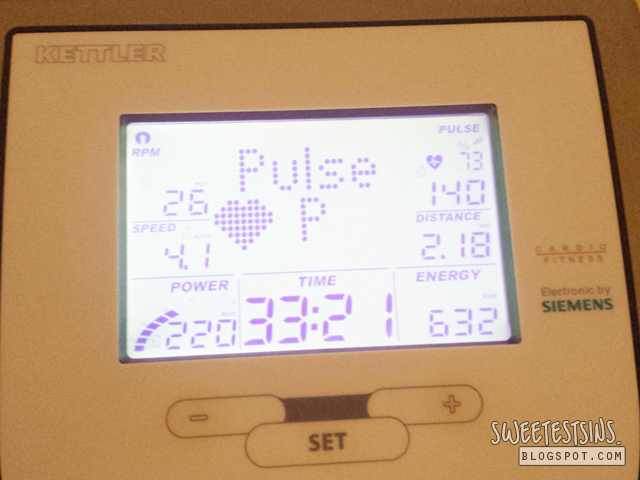 I was on Active Hive Minus Calories 30 minutes workout over a period of 2 weeks (5 sessions in total). A body composition analysis is done before the first session commence and at the end of the last session to analyze the effectiveness of the workout. Before each workout, Nikki would help to apply Anti-Cellulite and Body Sculpt Cream on my body including my arms, tummy area, thighs, calves as well as chin area. Active Hive Minutes Calories 30 minutes workout is an anti-aging workout on an elliptical machine with the presence of Infrared and Ionised Air technology. It burns calories 5 times faster than normal fitness or slimming methods (at least 500 calories of more in 30 minutes)! You would feel slightly warm as the machine starts to warm up. I never fail to break into a sweat during each session. During the workout, you can catch up on your favourite drama like I did on the tablet provided or play your favourite MVs. Whenever I was watching 'Eye in the Sky' during my workout, Nikki would remind me not to get too excited and to make sure that my pulse % do not go beyond 75%. After each workout, Nikki would present me with a glass of freshly squeezed juice. 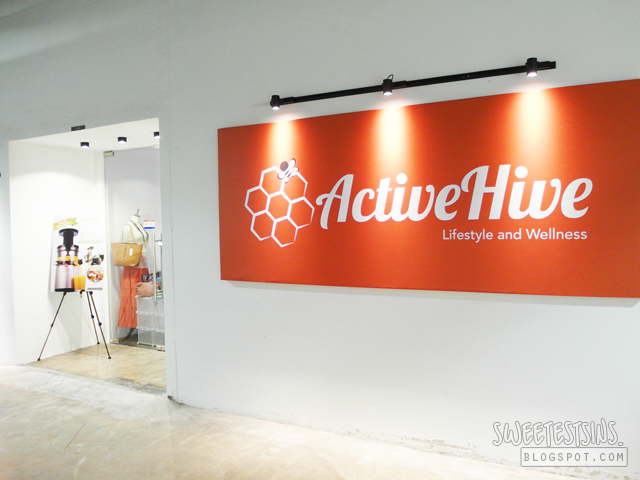 The good thing about Active Hive Minus Calories 30 minute workout is that I do not feel any muscle ache the next day after working out. Plus, I sleep better after my workouts at Active Hive. Other benefits of Active Hive Minus Calories 30 minute workout includes improving blood circulation and metabolism, stimulating collagen production, improving lymphatic system and immune system and improving stamina. Active Hive Minus Calories 30 minute workout can also be done as a form of rehabilitation exercise after operation and assists in treatment of injuries for athletes. Nikki also told me that Active Hive Minus Calories 30 minute workout is not just for people who want to lose weight but for people whom want to gain weight as well! 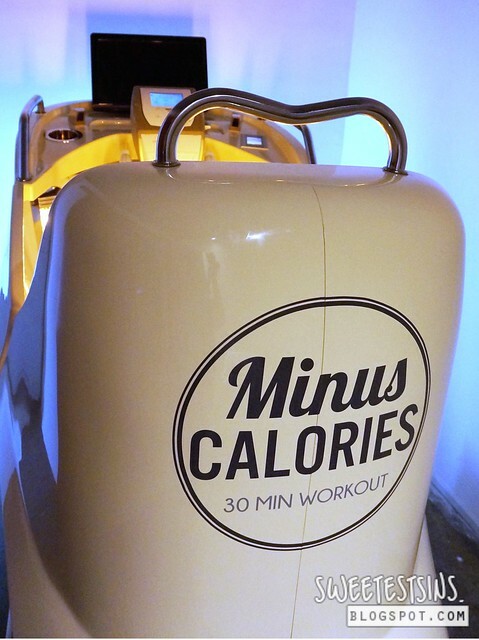 With the right program, Active Hive Minus Calories 30 minute workout can help people whom are underweight to gain weight! Here's my body analysis after a 2 week program at Active Hive. I lost a total of 1.1kg in 2 weeks time with Minus Calories program. My metabolic age reduced by 2 years. Even though my waistline increased by 0.5 inch and I did not lose any inches on my right thigh, I lost 2 inches on my hip area and 1.5 inch on my left thigh as well as 1 inch and 0.5 inch on my right arm and left arm respectively. My current BMI is 22.6 which is within the healthy range. After I came back from Japan, I lost another 2kg due to the amount of walking. Let's work hard together to achieve that dream body! Remember, losing weight is about exercising regularly and picking the right food (less carbohydrates and low in calorie). Patricia Tee. Singapore. Beauty Blogger | Travel Blogger | Fitness Blogger. I ♥ skincare, makeup, travel, gyming and photography. For companies seeking for business opportunities such as product reviews, services trial, event invitation, advertising, long-term sponsorship or readers whom have any requests/questions, feel free to email me.